A small reclusive bird, rock wren are restricted to small pockets of the South Island’s high country. 00:02 – Rock wren contact call. 01:49 – Rock wren chicks begging. Rock wren are our only true alpine bird. It is unknown how they survive the harsh climate above the tree line all year round, but it is likely they continue to forage on rocky bluffs where snow has not collected and amongst large boulder fields. Some have suggested they may have a period of semi-hibernation. A rock wren nest can be as warm as 30 degrees, when outside it is below freezing! Climate change is anticipated to affect rock wren in the future. As the temperature warms, their alpine environment becomes more suitable for potential predators, such as rats. Extreme snow fall events have also caused nest failures in rock wren. Rock wren are poor fliers. They nest on the ground and are easy targets for introduced predators. Until recently, it was assumed rock wren were relatively safe from predators in their alpine habitat. However, rock wren are now absent or very rarely seen in many areas where they were once commonly found. Researchers using nest-cameras have identified stoats as the main predator of rock wrens. We have been monitoring rock wren nesting success at several alpine locations throughout the South Island within Fiordland, South Westland and Kahurangi National Parks. In areas where there is predator control, around 85% of nests are successful in fledging young. In areas where there is no predator control, nesting success is 0 – 30% and populations are at risk of extinction. We are currently developing methods of predator control targeted specifically to protect rock wren. Between 2008 and 2011, 41 rock wren were transferred from the Murchison Mountains, Fiordland to Secretary Island, a largely predator free island with sub-alpine habitat in Fiordland. Rock wren are now breeding well on Secretary Island. Help the New Zealand Alpine Club, Routeburn Dart Wildlife Trust and Friends of the Cobb, who are carrying out predator control in accessible rock wren habitats. 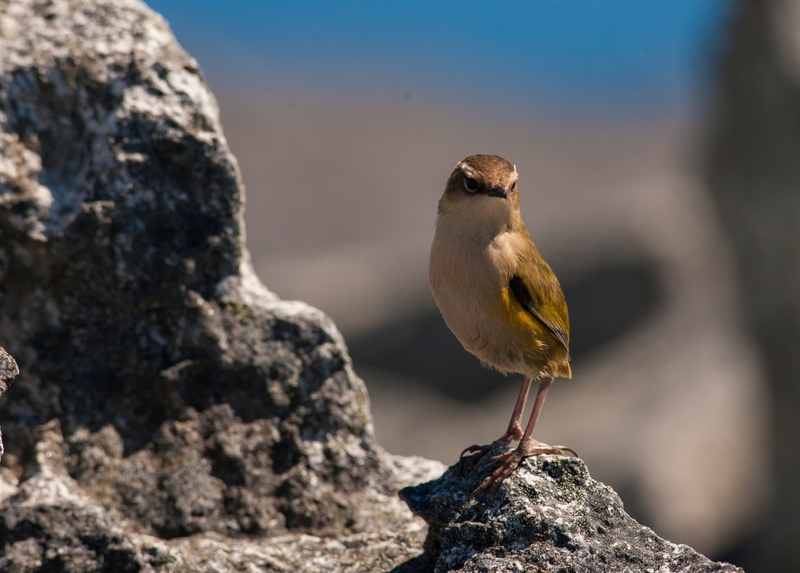 Report sightings of rock wren to your local DOC office or to iNaturalist NZ – Mātaki Taiao. Get involved with conservation groups working with DOC in Nelson/Tasman. A group of individuals have taken steps to prevent our rock wren from extinction.